A hypocritical and selfish older sister holds power over her younger, unselfish and humanitarian sister by hiding the shame of her younger sister's pregnancy, with the purpose of upholding the aristocratic status of their name and household. Or that is what we are told, because underneath the facade, is a story of two sisters, who have had intimacy with the same man. Edduverðlaunin / Edda Awards - Award: Film of the Year. Director of the Year. 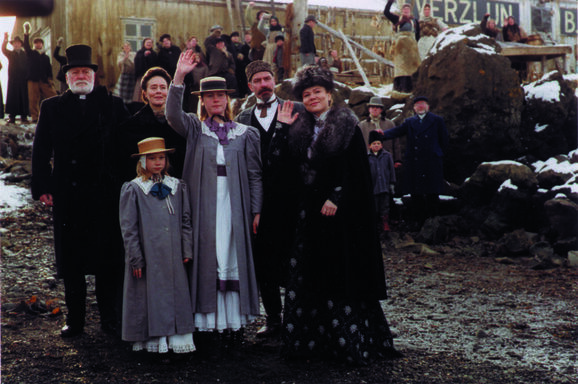 Actress in a leading role (Tinna Gunnlaugsdóttir). Make-up achievement of the year. (Ragna Fossberg) Film Score of the Year (Hilmar Orn Hilmarsson). Academy Award - Award: Iceland´s Entry for Best Foreign language Film.